Brand Creation & Website Design. 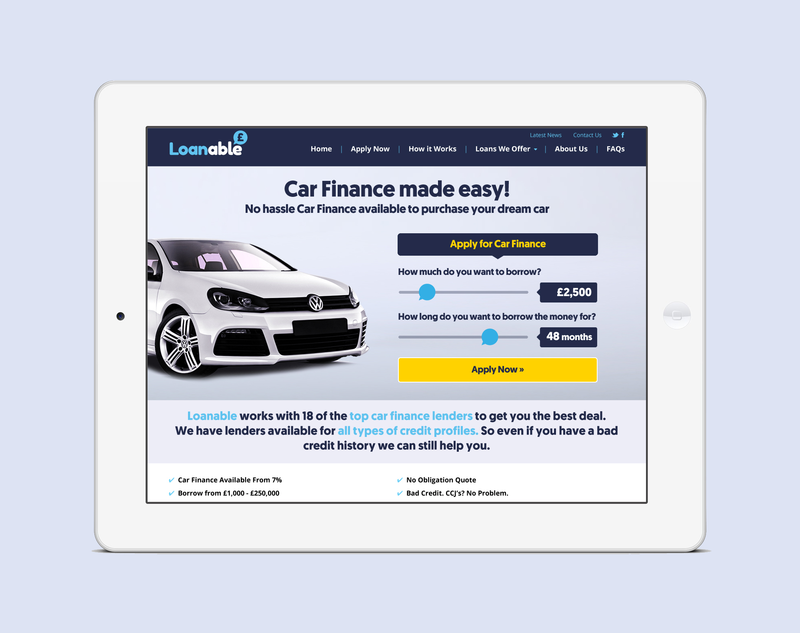 Loanable is a website offering various types of loans. 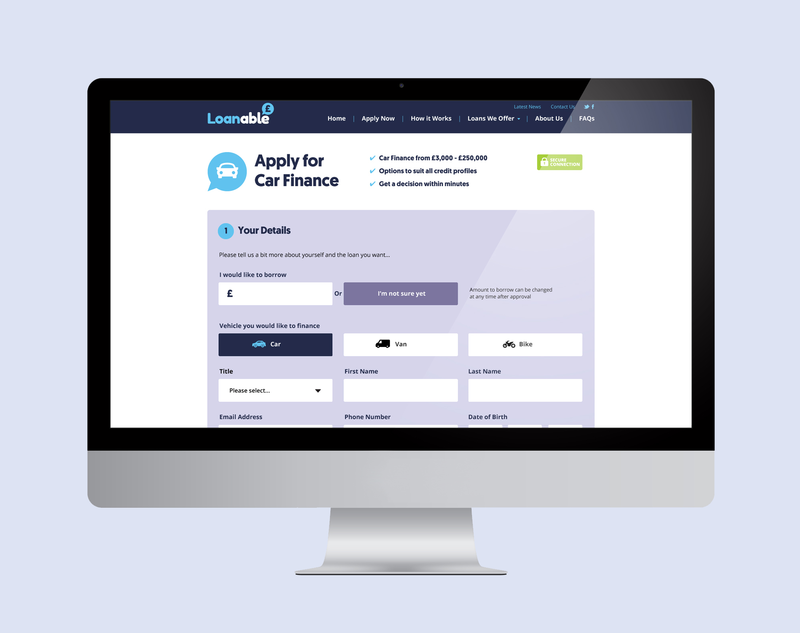 The site needed to be easy to navigate the various products they offer and work seamlessly on desktop, mobile and tablet capturing applications from customers from across all platforms. 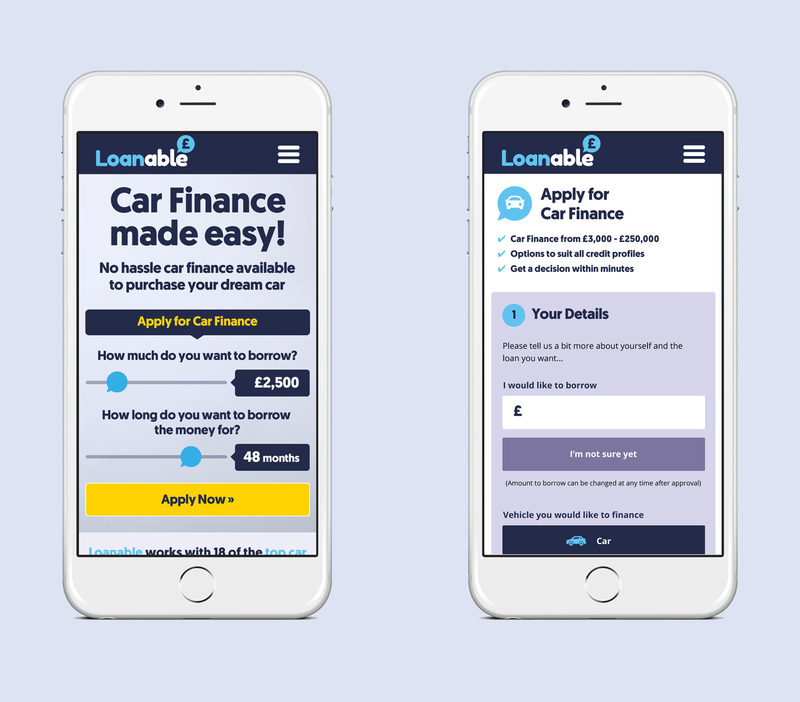 The speech bubble graphic was placed above the word ‘able’ to represent an approved loan.